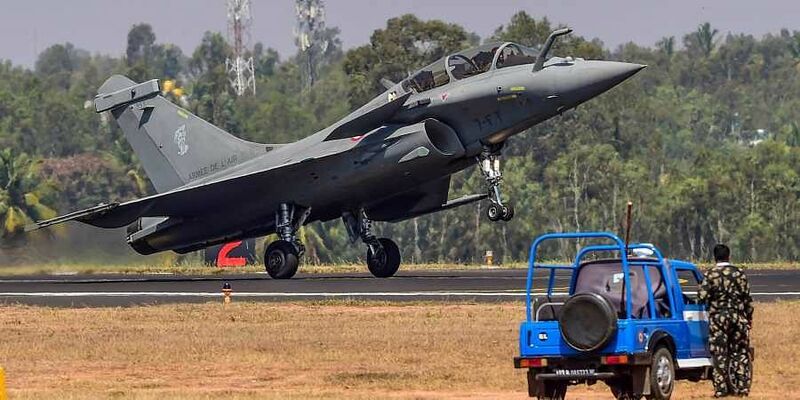 NEW DELHI: French Ambassador Alexandre Ziegler on Thursday dismissed reports that Pakistani pilots was trained on Rafale fighter jets being procured by the Air Force of Qatar. India procured 36 jets at a cost of over Rs 58,000 crore in 2016 after negotiations for the deal began in 2012. Concerns had broken out in the New Delhi over the report which, if true, could mean that Pakistani pilots familiarised themselves with the fighter jet’s systems even before Indian pilots did. The report was published by the American aviation industry website ainonline.com. It claimed that the first batch of pilots trained on the Rafale fighter jet for Qatar in November 2017 were “Pakistani exchange officers”.“I can confirm that it is fake news,” Ziegler tweeted. French diplomatic sources backed Ziegler saying no Pakistani pilots ever trained on the multi-role fighters in France.In 2015, Qatar sealed a $7 billion deal with French aerospace major Dassault Aviation to buy 24 Rafale jets, and later the gulf nation ordered another batch of 12 fighters. The first jet was delivered to Qatar recently. Pakistan and Qatar have robust political and military ties. The report by the American website came in the midst of a simmering political slugfest between the Congress and the Bharatiya Janata Party (BJP) since the deal was finalised.